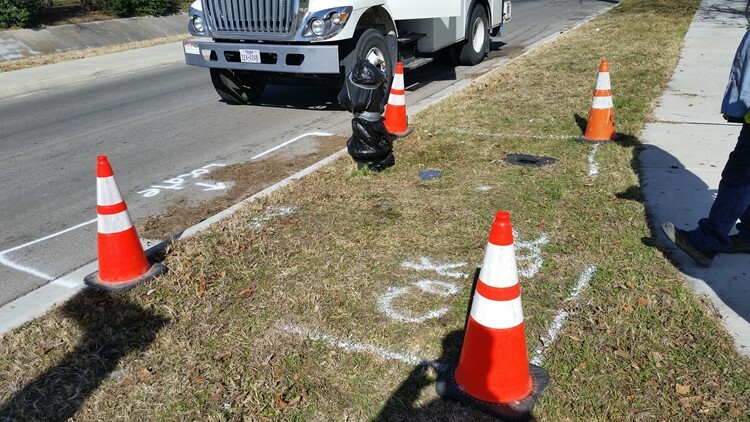 A day after KCEN Channel 6 investigated a faulty fire hydrant issue in a Killeen neighborhood and took inventory of seemingly faulty hydrants, a city of Killeen crew was seen working on one of the broken down pumps. 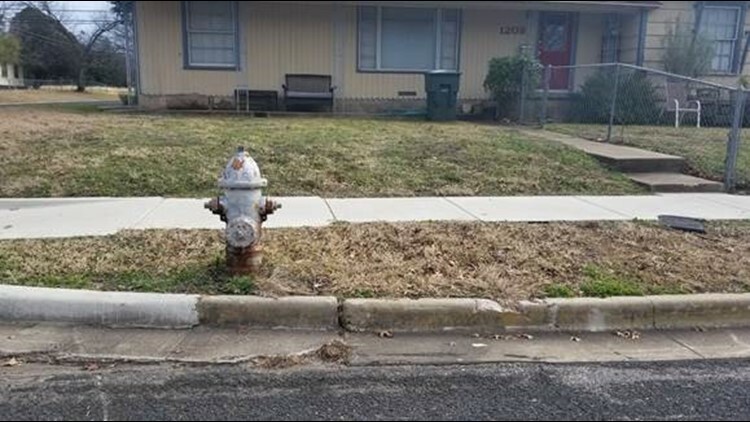 KILLEEN, Texas — A north Killeen community wants the fire hydrants in their neighborhood fixed after at least one of those hydrants failed first responders two weeks ago. Firefighters had to go a block over to find a working hydrant as a fire tore through the home of a single mother. The mother lost everything in the house. 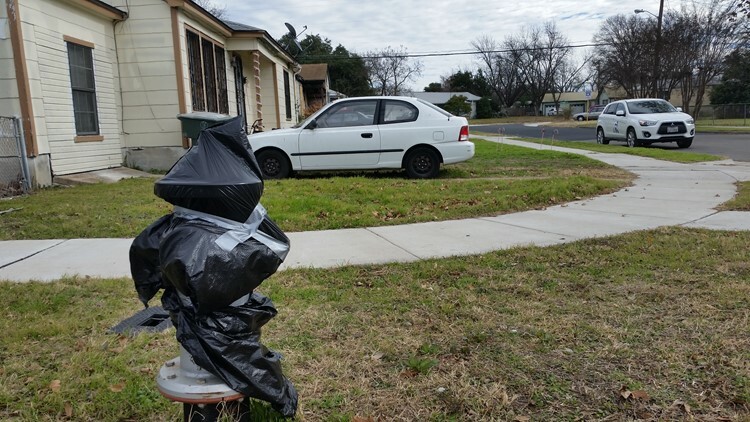 Less than 24 hours after Channel 6 investigated the issue and took inventory of potentially faulty hydrants in the area, the city of Killeen sent a crew to fix one of the hydrants -- the one closest to the mother's former home. 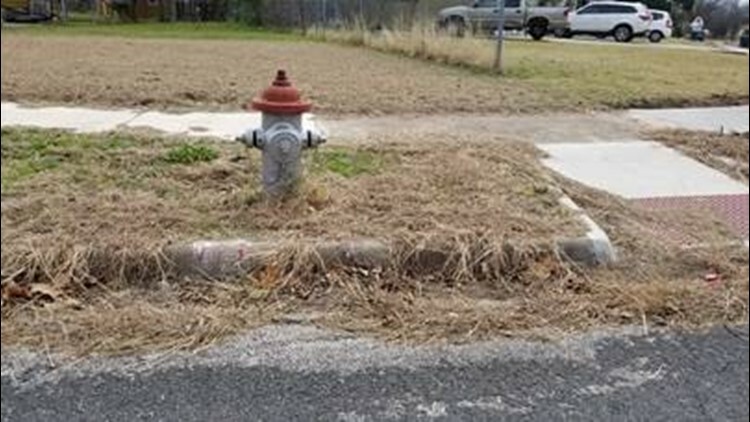 Later in the day Tuesday, the city said it was unable to fix the hydrant because additional parts were needed, but said it would be repaired in the same week. Investigative reporter Andrew Moore asked the city several questions about the conditions of its fire hydrants. RELATED: Did faulty hydrants make matters worse in Killeen house fire? Q: Do firefighters have a way to tell which hydrants work and which don't? A: Colors represent the amount of flow (red indicates less than 500 gallons per minute). A hydrant that is determined to be nonfunctional is painted black and covered with a bag or marked with a service tag. The water department notifies the fire department of hydrants that are not functional. Q: How often are fire hydrants inspected? A: Hydrants do not have a regular inspection schedule. Q: Will the Hydrant at 1400 block of Gray drive and Stewart Street be replaced? A: Crews were waiting on a part to complete the repair. That repair is scheduled this week. Q: Was the hydrant at 1117 Gray Drive recently replaced? A: It was replaced within the last five years. Q: Does this badly rusted hydrant at 1208 Alexander drive currently work? A: Outside condition is not indicative of operability. That hydrant is operable. Q: What are the inspection dates for the hydrants at 1117 Gray Drive, 1400 block of Gray Drive, and 1202 Stewart Drive? A: There is not an inspection schedule. This comes after a fire destroyed Tanisha Hill's home on Gray Drive in Killeen. Hill said two hydrants near her home didn't work and firefighters had to use a third nearly a block away. She believes the inoperable hydrants are why her home was a complete loss. KCEN Channel 6 in 2016 investigated the conditions and inspection frequency of fire hydrants in cities throughout Central Texas. Our investigative team submitted requests in Waco, Temple, Killeen, Harker Heights, Belton and Gatesville. The investigation then found that Temple, Killeen, Belton and Harker Heights were regularly maintaining hydrants, based on KCEN’s data analysis and interviews with fire professionals. Gatesville, which was transparent about its issues, appeared fully equipped to handle emergency situations through a web of contingency plans, as it continued to work to improve its aging infrastructure. Waco City Spokesman Larry Holze said in 2016 that Waco had nearly 5,500 hydrants and while he would not supply the raw data, citing terrorism concerns, he said most were working. KCEN has not since looked into other Central Texas cities.